Every Tuesday and Thursday InstaParking gives you a roundup of news that matters for Airport Parking operators and patrons. Parking Special - Use the code "HALLOWEEN4" for Exclusive $4 Off for October at AirportParkingReservations.com through October 31! It is amazing how the air travel industry has bounced back... or has it? 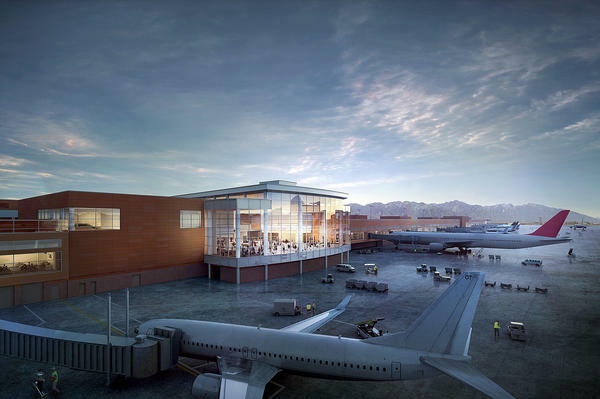 The lead story in today's Airport Parking News Roundup, covers the announced plans for the Salt Lake International. Having travelled both to and connected through Salt Lake, I can say that updates are needed. The other two stories today also cover expansion, just not at the scale of Salt Lake. All three stories would make you believe that there is growth in the air travel industry. A quick glance at the stock chart for American Airlines (NASDAQ: AAL) at first says otherwise. The initial 6 month view of American Airlines, show a stock that is down 25% from an April high. Expand the chart out to 2 years or more and you see a much different picture. American Airlines has had a nice climb that peaked in April and has fallen back a little, but is still up almost 100% since October, 2013. United Continental Holdings (NYSE: UAL), JetBlu Airways (NASDAQ: JBLU), and Southwest Airline (NYSE: LUV) look much the same. SALT LAKE CITY — One giant terminal with spacious gate areas and moving walkways. CLEVELAND, Ohio -- It's a bit of an obstacle course these days at Cleveland Hopkins, which is about halfway through a 12-month, $20-million renovation of the terminal façade, ticketing lobby and lower-level baggage area. Albany Park Ride and Fly has purchased land and buildings at 271 Wolf Road, across from its existing facility, from Hoffman Brothers Realty and will expand into the 5.3-acre site, adding 600 outdoor spaces to bring total available spaces at the off-airport parking site to 1,400. Terms of the sale weren’t disclosed.